The two candidates in Massachusetts' 7th District talk about their primary race. They don’t disagree much on policy. But they could hardly look or sound more different when they propose how they will serve in politics. A Democratic primary battle in a progressive district that includes parts of Boston and nearby left-leaning suburbs speaks to the larger struggle in the Democratic Party over how best to proceed in the age of President Donald Trump. On ABC News’ Powerhouse Politics podcast, neither incumbent U.S. Rep. Michael Capuano nor his challenger, Boston City Council member Ayanna Pressley, named specific policy differences, with both supporting a broad swath of progressive policy proposals – but both cited aspects of their identity in making their pitch to voters. 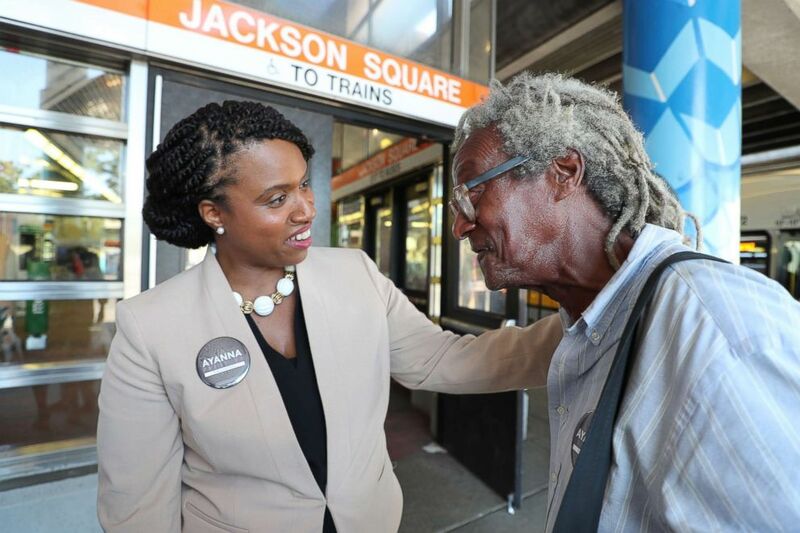 Pressley, the first African-American woman to serve on the Boston City Council, noted to host Rick Klein and guest host MaryAlice Parks that her own experience and identity would help her distinguish herself and legislate differently from Capuano. “People often say that, other than my age, race and gender, we are the same, which, on its face, I'm perplexed by that statement. Those are three major differences, all of which have formidably shaped my worldview,” Pressley said. In Capuano’s eyes, however, it’s nearly impossible to truly be a perfect representative of a district with so many diverse experiences. 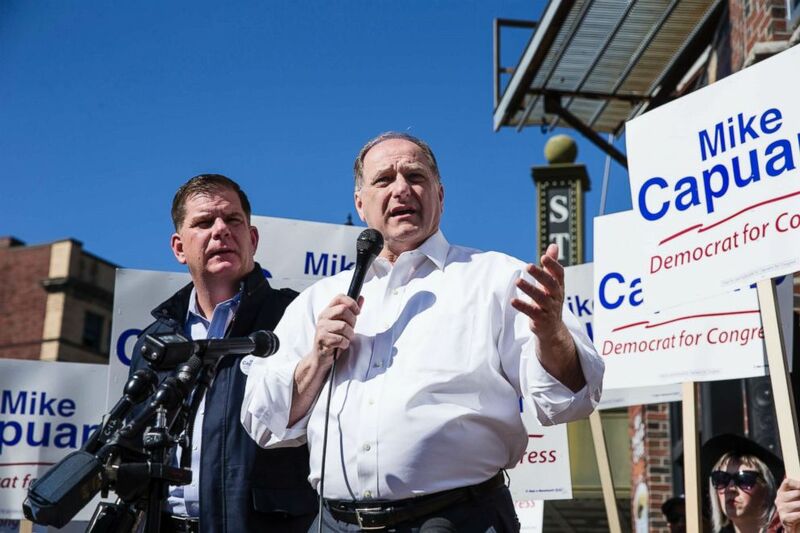 (Keith Bedford/The Boston Globe via Getty Images) Congressman Mike Capuano speaks after being endorsed for re-election by Boston Mayor Martin J. Walsh, left, in Boston on April 22, 2018. Pressley reflected on the concept as well, observing that it does not usually arise when discussing white male candidates. “I do feel that this is a charge that is only called into play with women and candidates of color. Donald Trump ran the biggest identity politics campaign in history. And that is rarely, if ever, called out,” Pressley said. Capuano also felt that the best way for progressives to respond to the anger generated by Trump’s election was to focus on defeating him and his allies, rather than going after Democrats whom they tend to agree with. “Absolutely, people are angry. I don't blame them so much. But you don't take out your anger by punching yourself in the face. You take your anger by finding the people you're angry about and take them out,” Capuano said. The two candidates face off in the Democratic primary on Sept. 4.